When the students gathered in the Physics Amphitheater in 1922 and heard the statement banning clubs there was no doubt at all which clubs were about to disappear. A small group of exclusive social clubs had taken root on campus, slowly at first and then with increasing speed. 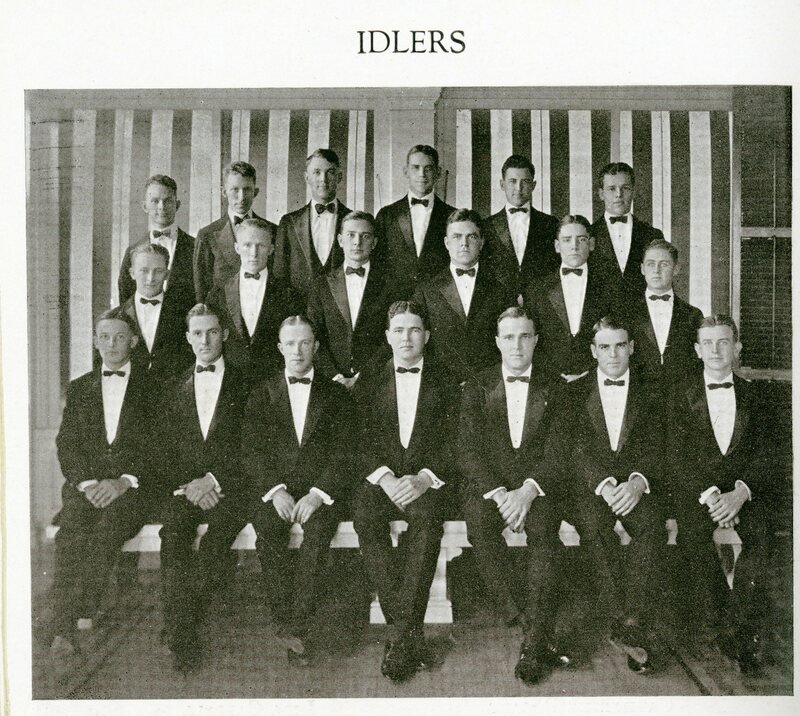 Unlike the Literary Societies, which had already begun to take on some aspects of sororities but which also had intellectual and literary goals, these clubs had no purpose other than camaraderie with like minded and similarly situated friends. By the 1921-22 school year several more of these exclusive groups had sprung up. There were now Alpha Rho and Samurai for men and Blue Moon, Hoots, and Beta Sigma for the young women in addition to the Idlers and Tattlers, who were at the very top of the social order. I’m not sure whether it’s surprising or not, but the growth of these clubs set off a reaction among the rest of the student body, which began organizing itself in opposition. 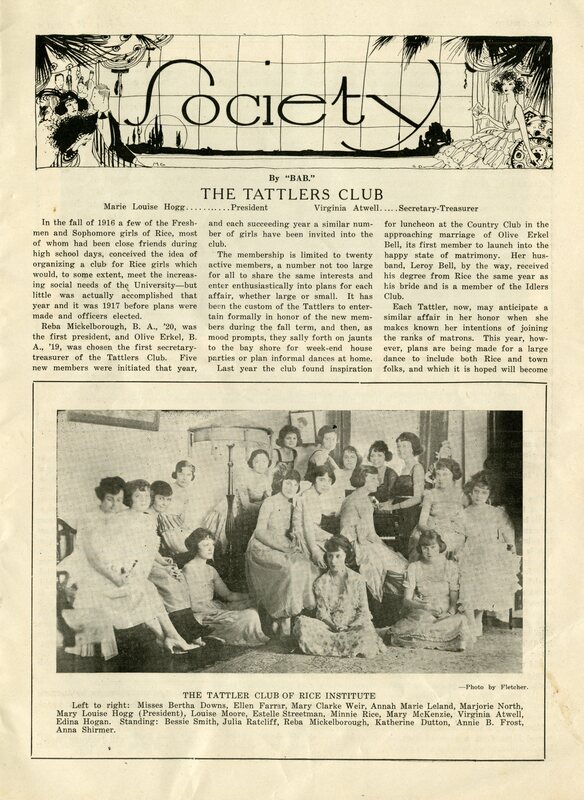 Thus was born the Toilers club, made up of students who did not count themselves among the privileged group who could afford the entertainments (and the clothes) enjoyed by the members of these social clubs. You already know how it ends but there’s one more interesting twist for tomorrow. The desire for “camaraderie with like-minded and similarly situated friends” is a basic aspect of human nature. 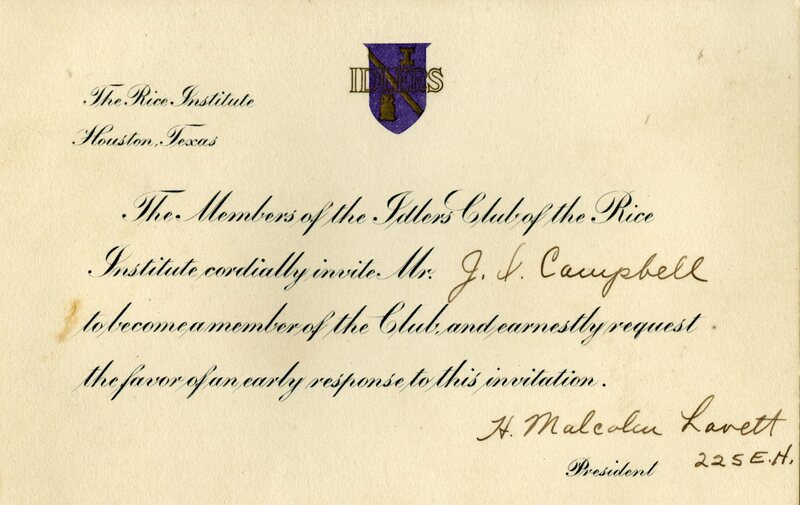 And it is the basis for deep and long-lasting friendships that often develop during college years.Seems to me the benefits of allowing like-minded men and women to band together as “brothers and sisters” of local or nationally affiliated societies should have been encouraged by Rice leaders rather than forbidden. Sure, rivalries develop between social groups the same way they do between institutions (Rice v. Texas or Rice v. A&M) and sometimes they need cooler heads to to prevail. That, to me, should have been the role of the Rice leadership of the time. Not to ban the rights of students to assemble in social groups of their choice. I experienced Greek fraternity life off-campus while a student at Rice and had great times with like-minded friends. It made many of the college memories that I cherish. Nothing in the college system of Rice could compare to it. I guess I don’t really have strong personal feelings about it one way or the other. During his time at Princeton Dr. Lovett had observed the impact of the eating clubs on campus life there and didn’t like it. It’s interesting to me that there seems to have been no significant argument among the faculty members about the resolution given that many of them had been club members themselves as students. In any event, this decision certainly wound up having lasting consequences, some bad and some good. And I’m glad you wound up having a good experience even if you had to go off-campus! 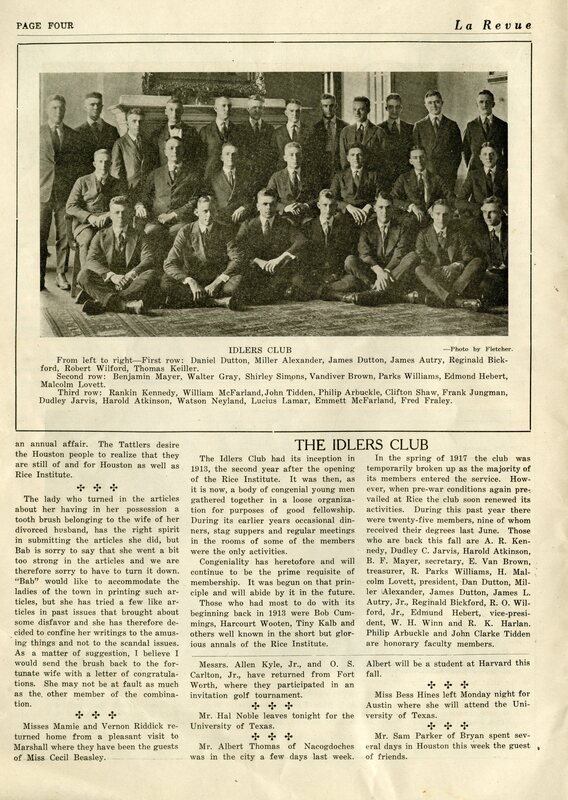 What a hoot that H. Malcolm was president of the Idlers! I hoped someone would notice that! Just imagine the conversations that must have taken place! My very favorite thing is when I get these tiny reminders that all these people were actual human beings. Did Congressman Albert Thomas, Rice ’20, go to Harvard between Rice and UT Law? > > > … After graduating in 1920, he began studies at Harvard Law School. Shortly after, the economic crisis of the 1920s, which impoverished much of the cotton-producing South, forced his father out of business and cut short Albert’s Harvard education.